The Duncan Family of Silver Oak established Twomey in 1999 to pursue the discovery of varietals in California beyond Cabernet Sauvignon. Twomey uses the same philosophy that has guided Silver Oak since its founding in 1972: make exceptional, food-friendly wines that are deliciously drinkable upon release. 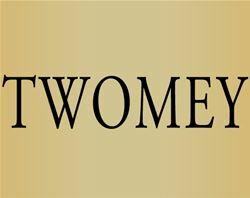 At Twomey, they apply their 40 years of winemaking experience combined with a spirit of innovation to create their Single Vineyard Napa Valley Merlot, four Appellation and Single Vineyard Pinot Noirs and Estate Sauvignon Blanc. With a focus on excellence and sustainability, Twomey sources fruit from some of the best appellations and vineyard sites in California. At their wineries in Calistoga and Healdsburg, they work small to create unique, approachable wines that you will enjoy with friends and family. Come enjoy our newest selection of wines in our quaint Tasting Room or enjoy some fresh air and wine in our sunny courtyard. To join the wine club, visit www.twomeycellars.com or call 800-505-4850. With Club Twomey, we favor a tailored apporach, which is why w offer three tiers of membership: Velma, Duncan Family and Founder's Club levels. Velma: Velma Club members recieve three shipments of wine a year. Each shipment includes three bottles of new and current releases. This Club also offers special members-only pricing on reorders and invites to special events and more. Duncan Family: Duncan Family Club members receive four shipments of wine a year. Each shipment includes four bottles of new and current release wines. This Club also offers enhanced members-only pricing on Twomey and Silver Oak wines, invites to Special club Twomey and Silver Oak events and more. Founder's Club: Our most exclusive Club Twomey membership. Further information available upon request. To become a member of Club Twomey, you can either visit us online at www.twomey.com or by contacting our Twomey Wine Club Manager, Cyle Christiansen at 707.942.7111 or wineclub@twomey.com. Complimentary tasting per Napa county address with valid ID and one guest. Twomey is certified under the Napa Green Winery Program by the Napa County Department of Environmental Management (DEM) and the Association of Bay Area Government’s (ABAG) Green Business Program and completed all the regulatory components needed for environmental sustainability. These components included developing water and energy conservation methods, preventing pollution, and reducing solid waste. In addition to developing sustainable winery practices, this program is set to become the standard for the state of California. Twomey is certified under the Napa Green Certified Land Program. Twomey has created and implemented a customized farm plan with measured results that addressed all aspects of its property, vineyard land as well as non-farmed land, including practicing soil conservation, water conservation, stable drainage, riparian corridor enhancement, fisheries and wildlife habitat enhancement and long-term improvement and sustainability.